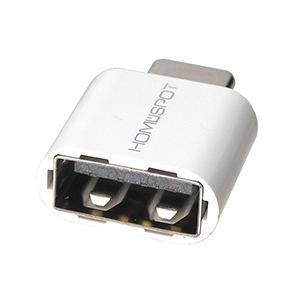 With the size only a penny, HomeSpot USB-C to USB 2.0 USB-A Female Adapter is the a must-have item for your Type C item. The mini adapter is made to be compact and highly portable, just tuck it into your bag, pocket or wallet while you're on-the-go. Compatible with any USB-C smartphone, tablets or computers with your standard USB-A cables, it allows you to easily connect your USB-C phone to any charger or computer. Just plug the adapter's USB-C plug into your device and a cable into the adapter's USB port. No other hardware or software required. 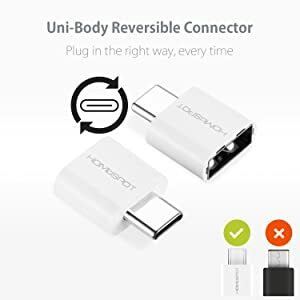 With unibody reversible connector, you will always plug in the right way everytime. 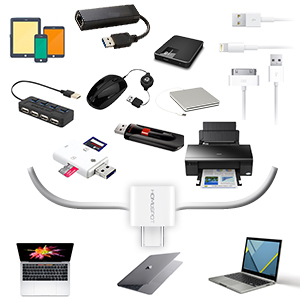 Connect your current USB-A peripherals like USB Hub, Printer, Mouse, Keyboard, Network Adapter, 30 Pin Cable, USB Flash Drive, Lightning, Micro USB Cable, Card Reader, CD/DVD Drives, Hard Disk, and even iPhone / iPad cables to your USB-C laptop (Macbook Pro, Macbook Air or ChromeBook Pixel. Allows you to easily connect your USB-C phone to any charger or computer. 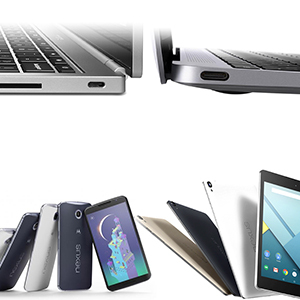 Use 56k ohm pull-up resistor, HomeSpot meets all USB-C technical standards for use with all USB-Type C products; Pass CheckR App Test, 100% Safe For Your device! 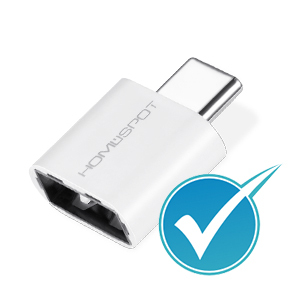 With a rated lifetime durability of 10,000 uses, the HomeSpot USB-C to USB 2.0 Mini Adapter is sufficiently robust for even the most demanding users. Effortlessly combining precision ergonomics and premium materials, the Mini Adapter is designed for maximum reliability.